If you live in Maine then Bar harbor Savings and Loan services you. We are going to take a look at the CD Rates Bar Harbor has to offer and compare them to what is out there nationally. Bar Harbor is FDIC Insured. Here is a list of the CD Rates and Minimum Deposits they have available (Today’s date: 9-15-11). *An early withdrawal penalty may apply and reduce earnings. Now lets take a look at the nations best CD Rates and see how Bar Harbor compares. 6 month CD rate – 1.05% APY with $1000 minimum deposit. 12 Month CD Rate – 1.50% APY with a minimum deposit of $10,000. 24 month CD rate – 1.50% APY and a minimum deposit of $500. 60 Month CD rate – 2.68% APY with a minimum deposit of $5,000. You can see the financial institutions with the best cd rates here. Bar Harbor is slightly lower than the nations best CD Rates, but their rates are not that bad. If you look at the average CD rates across the nation Bar Harbor comes in right at or slightly above average. 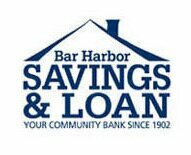 Visit Bar Harbor Savings and Loan here.